Just Huawei has officially unveiled the Huawei watch already through the media on the own keynote. To her, is joined by the TalkBand B2. First of all: The Huawei Watch has unfortunately no particular surprises. The clock just like other Android Wear- Smartwatches joins with Androiddevices starting with version 4.3 via Bluetooth. 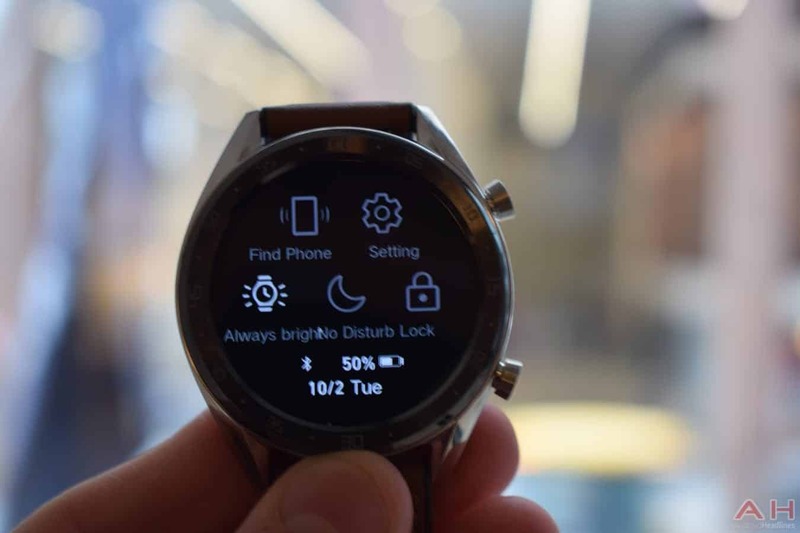 With the circular display, which has been addressed in a promotional video , the Smartwatch a third copy of watches with a classic design to the Moto 360 and the LG joins G watch R, which also run on Android wear. About the 1.4-inch AMOLED display, with a resolution of 400 x 400 pixels and a pixel density of 286 PPI therefore. It is protected by a Sapphire Crystal cover. This is embedded in a stainless steel enclosure, which will be available in three different colours: silver, black, & gold. Even a heart rate monitor is built-in. The size of the clock is 42 mm. To do this she is a Crown also, such as the Apple Watch. Working inside a Qualcomm processor that is clocked at 1.2 GHz. It has 512 MB of RAM and one 4 GB memory. She will be available this year, it is estimated June. A price was not called. In addition to the Huawei watch, the company presented also the TalkBand B2, the successor of the B1. The B2 consists of a metal frame and has a 0.73-inch display. TPU is used as strap material. This is to soft and hypoallergenic. With a thickness of 11,5 mm, it is 20 percent thinner than its predecessor. It can be connected with IOS version 7, Android is supported starting from version 4. The plastic version will be available for a price of 169 euros, you get the premium version from 199 euros as of the end of April this year.